Songwriter, producer, Drake protégé and R&B artist PARTYNEXTDOOR’s third studio effort latches on to the rising tide of the popularized OVO sound which is currently infiltrating its way into every facet of the music industry. The minimalistic alt-R&B presented here makes for a project which is incredibly sonically unified, even as the runtime extends past an hour. But rather than aiming for hits on this project like some of his contemporaries, PND slows things down for a more stripped back and intimate listening experience. While it would be fantastic if this had translated to PND offering a higher degree of artistry than his labelmates, it mostly sounds like emulation, albeit quite masterful. Production is handled mostly by OVO beat mastermind 40, as well as PND himself, among some other lesser-known OVO associates. While these people have proven time and time again that they are amazing and very effective at what they set out to do, there is one again no new personnel coming in to provide a new perspective, and that is why the sound of this album hits every point of the framework of what is popular amongst the OVO camp at the moment. 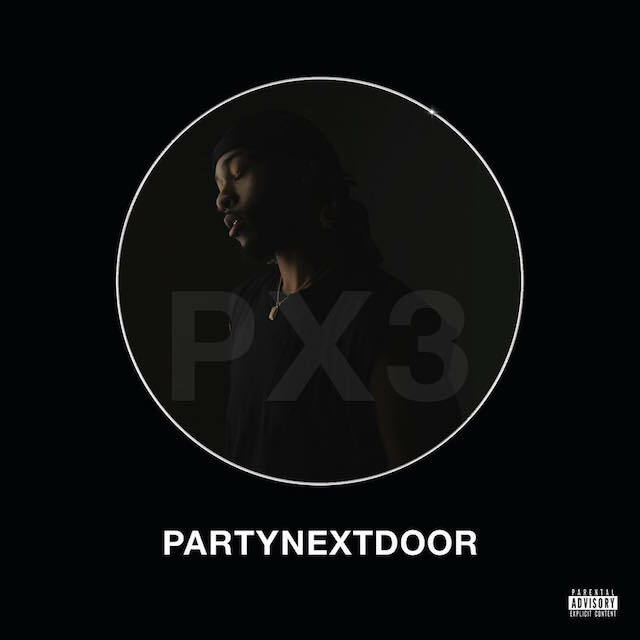 PND rides Drake’s current wave of dancehall-inspired instrumentals, which turns out to be a major strength of P3 as I believe he does it better than the boss himself. During a woozy section in the album’s middle, PND offers up the Weeknd’s brand of slowed-down, darkly beautiful alt-R&B numbers as well. “Not Nice” is possibly the best song to come out of the OVO dancehall craze, speeding joyfully along and sounding like a caffeine-injected version of “One Dance”. PND’s instantly catchy melody adapts to the steel drum instrumental, the joy of recording coming across evidently to the listener. “Only U” follows and is equally as good. PND hails from Mississauga, Ontario of all places, but he could convince me he was born and raised in Jamaica with these songs. His voice adapts very well to the patois for some reason, unlike how awkward it can be when Drake says something like “ting”. “Joy”, on the other hand, is the best Weeknd-style track. It really is quite ridiculous how thinly veiled PND’s imitation of his peers is on this project, as he adopts Abel’s grim worldview and desensitization to emotions in his lyrical content. This sounds like a track that was rejected from “Beauty Behind the Madness” for being too happy, actually entertaining the concept that finding joy in a relationship is possible. The Weeknd would never do such a thing! The song is the best showcase for PND’s voice over languid acoustic strumming and minimalistic backing piano. The Weekndisms and guitar-based R&B continue on standout track “Spiteful”. A few of these songs overstay their welcome and become almost over-indulgent. There is no reason for a song which does not divert once from a singular idea – PND and his lady need 1942 tequila – to be nearly 6 minutes in length. Quite often after the main structure of a song has run its course, PND remains on a more minimal version of the beat for an extra minute crooning out variations of some of the lyrics we just heard. If PND was an absolute knockout of a singer, this would probably be beneficial, but at the moment it is just too much. The intro “High Hopes” could have been one of the best songs if it didn’t bore me to death with its 7:22 runtime. PARTYNEXTDOOR was signed in tandem with The Weeknd by label boss Drake. Now only one of the two has become a burgeoning superstar, and I believe it may have to do with the fact that The Weeknd is one of the only people in the entire OVO camp who broke from the formula and started doing something new and interesting. It caused him to stand out from the crowd, whereas PND does not regardless of how good the songs actually are. PND at times sounds like the sonic baby of the OVO melting pot on this project, and carving out his own sound will ultimately be necessary for further success. When I honestly couldn’t tell the difference between PND and Drake on collaboration “Come and See Me”, I knew there was a persisting problem here. But then again, PND is a pretty fantastic imitator.